The mission of the Richmond Sailfish is to encourage and empower young people to develop to their fullest potential as athletes, individuals, and role models in their community through participation program especially aims to provide inner-city youth throughout Richmond with an opportunity to develop swimming skills, character and self-discipline in a supportive environment that fosters personal improvement. Our team offers all swimmers the chance to excel by maintaining small group sizes to ensure each swimmer plenty of personal attention from their coach. With monthly competitions and other participate on our team in a safe environment while learning a necessary life skill. Dryland Training: Open to all swimmers in the Blue and White groups and swimmers 11 and older from the Minnow and Guppy group. Youth are not required to be proficient swimmers to join the Sailfish, but some basic water skills are needed. For the younger swimmers we will first be teaching how to side breathe during freestyle, which is critical as it develops proper form and technique. Once they get stronger and develop a nice backstroke. Introduction to Butterfly and Breaststroke as well as learning and practicing turns and dives will also help the swimmers gain a strong understanding of competitive swimming. 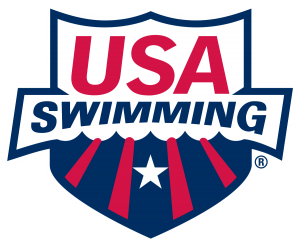 USA Registration: Everyone is required to register with USA Swimming and pay annual dues, which cover insurance and subscription to Swimming World Magazine. Swimmers should carry their cards with them at swim meets or other USA Swimming events as they may be required to show it. 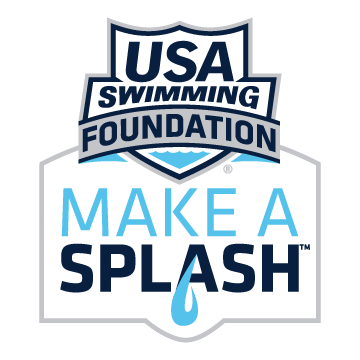 Click here to go to the USA Swimming registration page. Sailfish Swimming Fees:Swimming fees cover pool rental costs, coach’s salary, equipment and various overhead expenses for the Sailfish. The team dues listed below are Sept, Oct-Dec). Fees can be paid online via PayPal by visiting our online store. Alternately, fees can be paid by check made out to “Richmond Swims”, and given to the Coach or sent to the attention of the Club Registrar at P.O. Box 70952, Richmond, CA 94807. The Head Coach is John Schonder. John grew up and began his swimming career in Reno, Nevada. He swam competitively through high school and into college. He spent several years teaching of Reno Parks and Recreation Aquatics Department and the Reno Aquatics Club from 1995 through 2000. 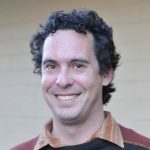 He was Head Coach for the Holy Names High School (Oakland) swim team from 2005 Coach and Executive Director of the Oakland Barracudas (age group and Masters swimming teams) from March 2007 until December 2009. He is active on the Pacific Swimming Diversity and swimming more accessible to communities that have traditionally not had access to swimming. John holds a Level II Certification with the American Swimming Coaches Association (ASCA), is Professional Trainer through Aerobics and Fitness Association of America. Kaitlin started swimming with the Richmond Sailfish in 2010, the inaugural year. She continued to swim and compete up until high school where she was a Varsity Swimmer all four years. Specializing in middle distance freestyle (200 free, 500 free), she is a very versatile swimmer, able to swim all the high school events. Kaitlin is a Red Cross Certified Lifeguard, and worked previously at the Richmond Plunge/Swim Center as well as the El Cerrito pool as a lifeguard and swim instructor. She is also a primary instructor in the Take the Plunge community swim lesson program. Kaitlin started coaching the Guppy and Minnow group in Fall of 2018, and is a certified USA Swimming coach. Jose started swimming with the Richmond Sailfish in 2010 as one of the team’s first 44 swimmers. During his 8 years with the team he competed at regional meets, volunteered to teach swim lessons to local Richmond youth, and was one of two first team captains. He is currently a lifeguard with the City of Richmond, and is in school to receive his EMT certification with plans to attend Fire fighter academy.